Which diagnostic scan tool should I purchase? How to choose wisely. Diagnostic scan tools are as important as a spanner, if not more these days, but which one do you choose to purchase? There are so many brands out there with different features and levels of functionality. Firstly, you need to ask many questions to yourself. “What are my expectations and what am I going to use the diagnostic tool for and what is my budget?”, but we are only scratching the surface and we need to go deeper. It is a good idea to find out how many vehicle manufactures are standard and how many years of free updates and downloads there are. More importantly how often do they update the tool. It is quite pointless if you purchase a tool and it comes with 12-month update subscription and they only release updates quarterly, yearly or in some cases not even at all. It is best to stick to a big brand name, which gives you local support and warranty with technical support. Without this you may not get the full potential out of your scan tool making your investment not as profitable. What is the speed of the machine and how quickly can it process the vehicle information? Does it come with all the pre OBD connectors or are they optional? Does the diagnostic scan tool have the ability to diagnosis both 12 and 24 volt and work on both vehicles car and truck? Service reset functionality is extremely important and sometimes it is the deal breaker. When you have diagnostic lights illuminated on the dash the customer expects the mechanic to have the ability to reset them, otherwise their business may be taken elsewhere to someone that can reset Oil, service, DPF, ABS SRS.TCM, TPMS and may more lights. Customers are time poor and expect more convenience and will go to workshops that offer these services. We have noticed a massive uptake in the X431 AUSCAN and to our surprise it looks like it is the best performing scan tool on the market bar none. It has standard 75 car manufactures with the ability to add over 40 truck manufactures 12/24 volt. The standard car package has 3-year free software downloads as standard and we have been told that there is updates available nearly every week. The pre OBD plugs are also included in the package. local support and warranty with technical support also. 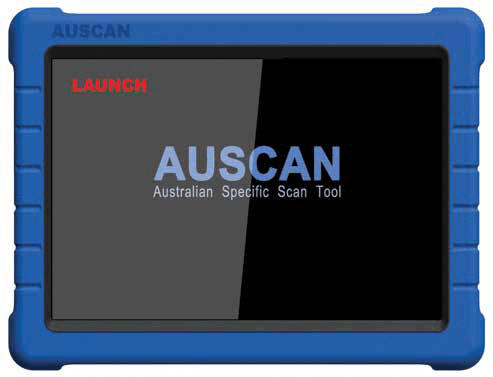 The New AUSCAN 2 has just been released with even more service reset functionality and a stand to have the tool upright when diagnosing vehicles. Some online programming has been added to the tool as standard and an optional pass through box is available. The OBD extension cable is splash proof IP rated. The New AUSCAN 2 creates a professional report which can be emailed, blue toothed or printed for the customer. It will have vehicle details and workshop details for a professional look. Looks like Launch Tech Australia have nailed it with this new unit and they are leading the market selling over 170 000 diagnostic units last year alone. Take the challenge and ask your retailer for a demonstration of the tool. Feedback from local workshops have all been positive ask for the AUSCAN 2 by name and you will be surprised on performance and value for money. Contact Launch Tech Australia on 1300 369 788 for more information. Copyright‌ ©‌ 2017-2018 -‌ Mayne Media Group - All‌ rights‌ reserved.